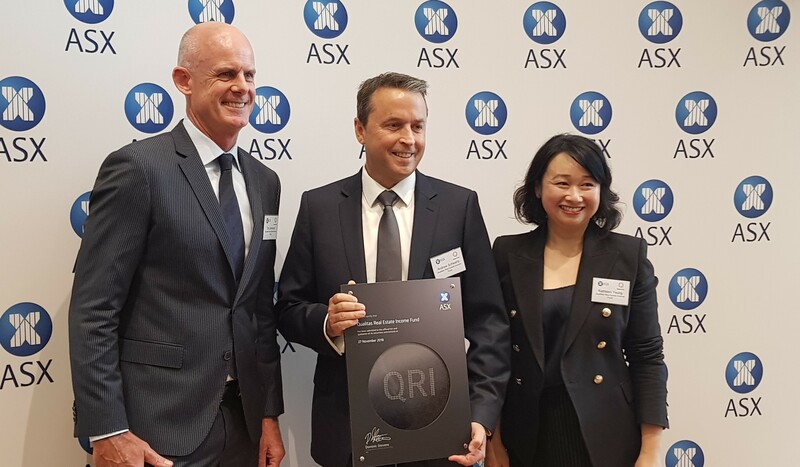 Qualitas debuted its first listed investment trust on the ASX today, with the Qualitas Real Estate Income Fund listing under the ticker code QRI. The trust aims to provide investors with a target return of 8.0% p.a. (net of fees) with cash distributions paid monthly [i], generated by commercial real estate loans. Group Managing Director, Andrew Schwartz, said, “This is an exciting milestone for Qualitas. While we have been operating for a decade, this is the first time we have made our investment products available to direct and SMSF investors in a publicly listed format. Mr Schwartz said the successful listing was the result of a dedicated effort. “We have a talented team here at Qualitas and were fortunate to find a number of experts to assist us in bringing this deal to life. Responsible Entity: The Trust Company (RE Services) Limited, part of the Perpetual group of companies. [i] This is a targeted return only. There is no guarantee that the Trust will achieve its Investment Objective. The payment of monthly cash income is a goal of the Trust only. Qualitas Real Estate Income Fund ARSN 627 917 971 (Trust). Issued by the Trust Company (RE Services) Limited (ACN 003 278 831). Prepared by QRI Manager Pty Ltd ACN 625 857 070 the Trust investment manager and authorised representative of Qualitas Securities Pty Ltd AFSL 342242.